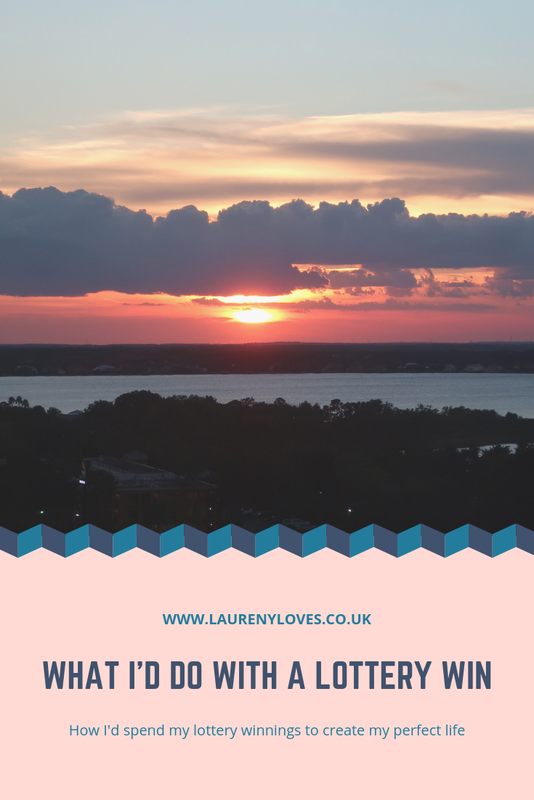 It's a question we've all thought about, 'what would I do if I won the lottery' I mean really with that amount of money, there's endless possibilities so it's always fun to think about what you'd do (aside from the obvious of giving some to family). We all work to be able to afford to do the fun things in life but if suddenly money was no object what would you do? Before I settled down anywhere I definitely splash some cash on seeing the world. There's so many places out there to see and with money being no object, there'd be nothing stopping me from visiting everywhere I've ever dreamed of visiting. I think I'd probably end up spending a fair amount of time traveling even when I'd settled down. I'd have a base to come back to and the whole world to see! Top of my list would be a road trip around America, going to an elephant sanctuary, going on safari in Africa, visiting every Disney park around the world, somewhere you can see baby turtles hatching, seeing the Northern Lights and a trip around Canada. There's just no way I'd be sticking around in the U.K, I need warmth and fun and Florida absolutely stole my heart when we first went in 2015. So many of my lottery win plans revolve around this destination that I may as well just live there anyway. I'd buy a beautiful villa with a pool not too far from Disney World! Fun fact, Josh and I seriously talked about moving to Florida and one point but like anything money was one of the many big factors that stopped us from going any further. There'd be no doubt in my mind that this is where I'd be setting up base after a lottery win. Of course Disney World and Universal Resort would be at the top of my list but I'd probably buy other theme park passes too such as Seaworld and Legoland. Lets face it, I wouldn't be working anymore so I may as well spend my days at the happiest place on earth. I don't think I'd ever get bored of visiting the parks, they're constantly changing and there's so many events that it keeps things fresh all the time. Imagine popping out because you fancied a ride on The Haunted Mansion or going for date night at Disney Springs. That sounds like absolute heaven to me. I've always wanted to work with animals and even though not having a job anymore would be fantastic, I think I'd still like to do something to keep busy (you know for those occassions where I'm not in a theme park!) I'd love to open a sanctuary for ill and disabled cats that would still have a great quality of life it's just they've got complex needs. I'd like to put my money towards helping animals who might not have been given a chance at life because of high vets bills. I think it would be such an honour to look after the cats that needed a little bit of extra care. A quiet life in Florida, going to the theme parks and looking after cats is the absolute dream, now let me just go and buy a lottery ticket!